Home / Updates / Documentation / How to Convert Free/Trial to Paid Membership? How to Convert Free/Trial to Paid Membership? 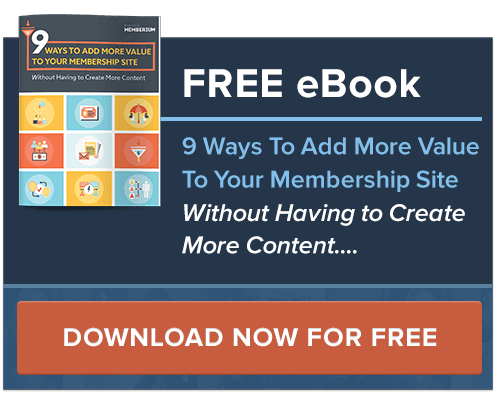 You have already created content on your membership site and you are looking to give limited free/trial access to just a small portion of it, while still offering your free/trial users to get full access by purchasing/upgrading to a paid membership level? 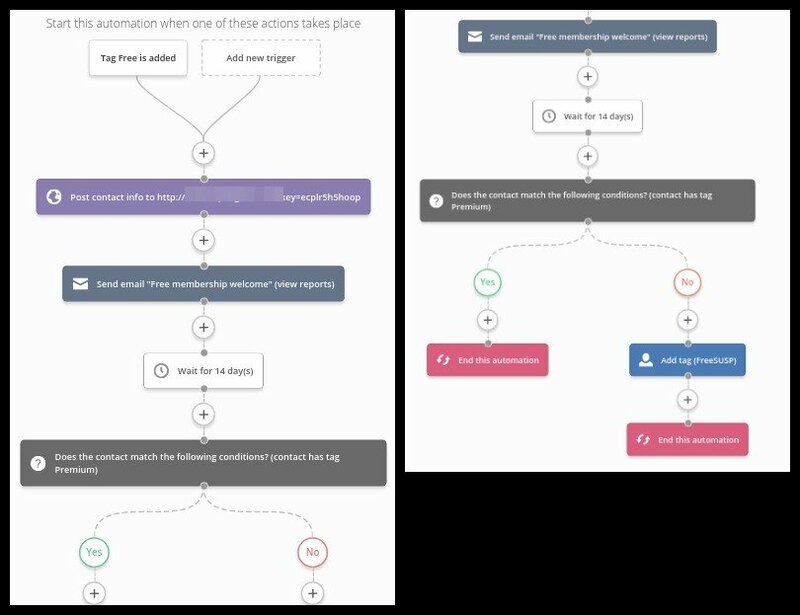 We’ll try to help you get started with creating a basic free or free trial ActiveCampaign automation, so that you can properly provide a way for your users to upgrade their account to a paying one. Along with that, we’ll also cover how to configure Memberium in order to create proper content protection of your content. First of all, we’ll need to create membership levels inside Memberium which will be used to differentiate paying and non-paying users. In this example, we’ll create “Free” and “Premium” membership levels inside WordPress => Memberium => Memberships. On the screenshot above we’ve created “Free” membership level and you’ll basically do the same for “Premium” membership level as well. As of the “Include SUSP/CANC” checkbox, this needs to be selected, so that the PAYF/SUSP/CANC tags are created as well (we’ll need them in one of the next steps). If you want “Premium” membership level to inherit “Free” as well, you’ll need to set “Premium” membership level to have higher number inside “Level” field. For example, “Free” to have 0 and “Premium” to have 1. This automation is used if you are looking to have “Free” and “Premium” option – meaning you won’t have trial option. Basically, your “Free” users will have access for unlimited time. We’ll first create automation that will be used for “Free” users. In this example, we’ll use tag trigger (access tag name is located inside Memberium => Memberships => Tag column) as the trigger to start the automation, but you are can use the one that fits your needs. The automation from above will be used to give access to the users that have just registered as Free user. First element inside the automation is the web hook element, in which we’ll put web hook link which will be used to generate password for your users. You’ll find your web hook link inside Memberium => Settings => Web Hooks/Links tab => “Password Generator Example:” field. You can find detailed informations on how to use password generation web hook it in this article. Inside “Free membership welcome email” you can send login credentials for your user, so that they can login into the website. Make sure that you include merge fields for email and selected ActiveCampaign password field inside the “Free membership welcome email”. Please note that the password field in ActiveCampaign is only used once during initial password creation, to provide a merge field so that the password can be mailed to the customer if desired. When the password is updated in WordPress/Memberium, it’s not updated in ActiveCampaign. In fact, once user loggs in for the first time, password is removed from the password field and kept in WordPress only. 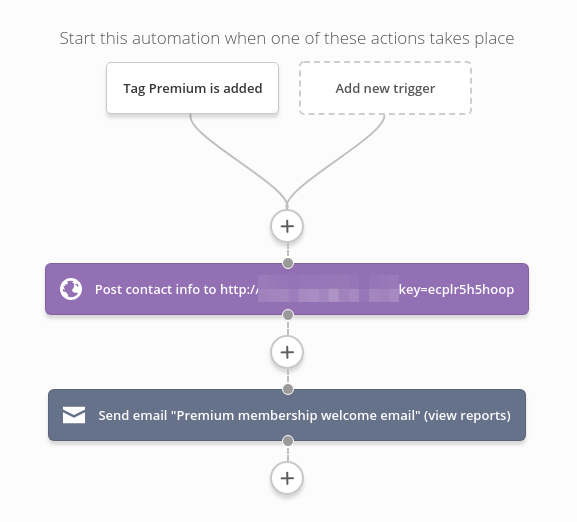 In this example, we’ve used tag trigger (access tag name is located inside Memberium => Memberships => Tag column) as the trigger to start the automation, but you are can use any other trigger that fits your needs. This automation will be used for both users that have “Free” membership level and are upgrading to “Premium” and for those users that have directly purchased “Premium” without having “Free” membership level prior to that (that’s why we’ve kept password generation web hook). This automation is used if you are looking to have “Trial” and “Premium” option – meaning your trial users will have access for a limited time. We’ll first create a “Free (trial) membership access” automation which will be used to provide trial access to your users. In this example, we’ve set the trial to be 14 days, but you can change that to fit your needs by simply changing delay timer in the automation. 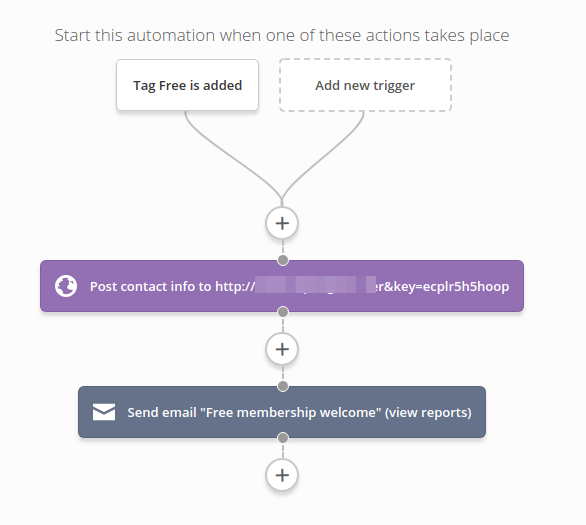 Screenshot of the “Free (trial) membership access” automation. This is one automation split into two images. The automation from above will be used to give access to the users that have just registered as Free (trial) user. First element inside the automation is the web hook element, in which we’ll put web hook link which will be used to generate password for your users. You’ll find your web hook link inside Memberium => Settings => Web Hooks/Links tab => “Password Generator Example:” field. You can find detailed informations on how to use password generation web hook it in this article. What will happen after 14 days (in this example) is ActiveCampaign will check if particular user has Premium access tag applied or no – meaning if user upgraded or no. If user does not have Premium tag, automation applies SUSP tag for the Free (trial) membership level – meaning user won’t have access to that membership level anymore. If on the other hand user upgrades during those 14 days, this automation will end, but at the same time, Premium automation (exaplained in the next step) will start, since that tag will be used to start the Premium automation. This automation will be used for both users that have “Free (trial)” membership level and are upgrading to “Premium” and for those users that have directly purchased “Premium” without having “Free (trial)” membership level prior to that (that’s why we’ve kept password generation web hook in this automation as well).